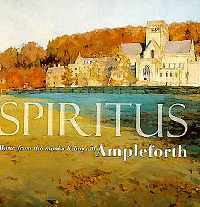 Ampleforth, located in the county of Yorkshire, England, belongs to the English Congregation of Benedictines and has a lineal continuity with the pre-Reformation abbey of Westminster through Father Sebert Buckley, last surviving monk of that community. 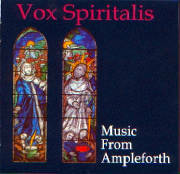 The present abbey was founded in a house given to Father Anselm Bolton by Lady Anne Fairfax. This house was taken over by Dr. Brewer, President of the Congregation, 30 July, 1802. 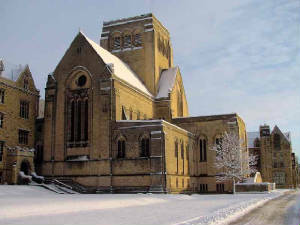 The community, since leaving Dieulouard in Lorraine, where its members had joined with Spanish and Cassinese Benedictines to form the monastery of St. Lawrence, had been successively at Acton Burnell, Tranmere, Scholes, Vernon Hall, and Parbold Hall, under its superior Dr. Marsh. On its migration to Ampleforth Lodge, Dr. Marsh remained at Parbold and Father Appleton was elected the first prior of the new monastery. 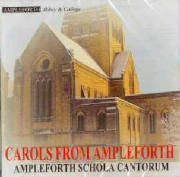 Shortly afterwards Parbold was broken up and the boys of the school there transferred to Ampleforth. The priory was erected into an abbey, in 1890, by the Bull "Diuquidem"; and has an important and flourishing college attached to it. The Bishop of Newport, Dr. Hedley, is one of the most distinguished of its alumni, as well as its present superior, Abbot Smith. The monastery was finished in 1897. "It is", says Almond "a tall, spacious building of four stories and a basement, joined to the old monastery by a cloister. It is of grat architectural beauty. The whole of the basement is taken up by the monastic library, consisting of some 30,00 columes, many of them of extreme rarity. The refectory, lecture halls, and the abbot's rooms are on the first floor; above are the cells of the monks, forty-eight in all. The pulic rooms are on the scale of the larger abbeys of pre-Reformation times". 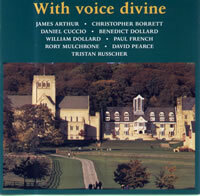 According to the English "Catholic Directory" for 1906, there are fifteen priests in the abbey; but there are a number of dependent missions served by monks of the community. The titular abbacies of Westminster and York and the Cathedral priories of Durham, Worcester, Chester, and Rochester are attached to the abbey. where no-one can hurt me. When I stumbled you saved me. When the emptiness eats me.